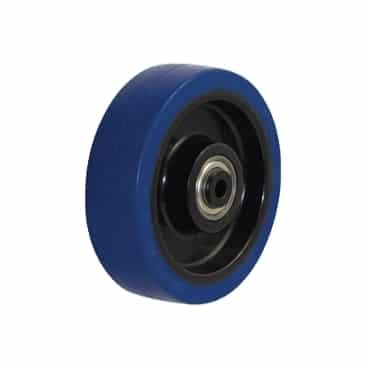 Rebound Rubber Tyred Wheels are non-marking, quiet and shock absorbing with a low rolling resistance. They are perfect for moving lightly loaded equipment over uneven ground, and protect the load from shocks. They roll over small obstructions easily, and are ideal for waste bins, laundry trolleys, electrical equipment and other “handle with care” goods.